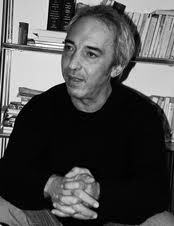 Aziz Chouaki is an Algerian novelist and playright who writes in French. Born in 1951. Translated in English, notably The Star of Algiers (L'étoile d'Alger) published in French in 2002 by Editions Balland, its translation in 2005 by Grayworld Press. Two translators worked on the English version of The Star of Algiers : Ros Schwartz, who specialises in translating French fiction, and Lulu Norman who specifically translates North African authors. This is the best translation of a North African francophone author that I have come across so far and this must be due to two minds peering over the draft from their own speciality's perspective. I've just finished reading it and it has torn my soul to pieces, as every time I read novels from Algerian authors writing about Algeria. It's just so damn raw and real and tender and gutwrenching and honourable and humane and alive and.... Algerian fiction is closer to first-hand witness accounts of the modern history of the country, in effect recording Algerian's modern history (to one day be able to make sense of the events? to lick collective wounds?) than about an individual's reflection, between cool and distant, of the human condition. This novel is an integral part of the account of Algeria's trajectory. The story : young kabyle, singer, 12 brother and sisters, live in 3 rooms for 14 people, he has high ambitions of making it in show business and he's truly gifted so he should. But it's 1991 and "all that remains of the oued are his stones."